Andrea's World Reviews: A Protein Packed Father's Day - Review & GIVEAWAY!! A Protein Packed Father's Day - Review & GIVEAWAY!! My husband is a very simple man. He never asks for much, and he is happy with even the most basic things. Even small gestures make him happy, and he is thankful for everything. So when a special day like Father's Day comes around, it is hard to figure out what to do to make it everything it should be for him. I want to do something grandiose for him, like hire a skywriter to spell out "Thank you for being such an amazing father and husband" or something. Unfortunately, I do not have the means to do something like that, and even if I did, he would probably have a cow and say I went overboard. It is actually quite hard to do something that is worthy to represent how much he means to us without doing too much. So it needs to be modest yet heartfelt, personal and meaningful. As silly as it may seem, doing that may be as simple as getting him a special treat that he loves. I know they day is not about gifts, and you cannot buy or manufacture love and emotions, and I would never want to. Giving someone something that you know they love makes them feel good. not only that they received something great, but that you know them well enough to know it's something they wanted. It sounds easy, but when someone never asks for anything, knowing what they really want can be a challenge. Thankfully, I know my husband very well. Not only do I know the kids of things that he will love, I usually know exactly what he wants too, even without him ever directly saying it. Sometimes, it is especially easy. You can choose products that the recipient has loved in the past, and no longer has, an get them that. In the case of my husband, I knew exactly what he would want. He raved about the products last time he had them, and he still talks about them all the time, even comparing any similar products to them. My husband has a huge sweet tooth, especially for chocolate, and he fell in love with the brownies(and cookies) from The Protein Bakery. Of course, I used Father's Day as the perfect occasion to treat him a little indulgence. Even aside from how happy they make my husband, The Protein Bakery products are superior to other baked goods in practically every way. They taste INCREDIBLE! They are big, filling, fresh, moist, rich, buttery, chocolatey, sweet(but not too sweet) and bursting with premium ingredients. 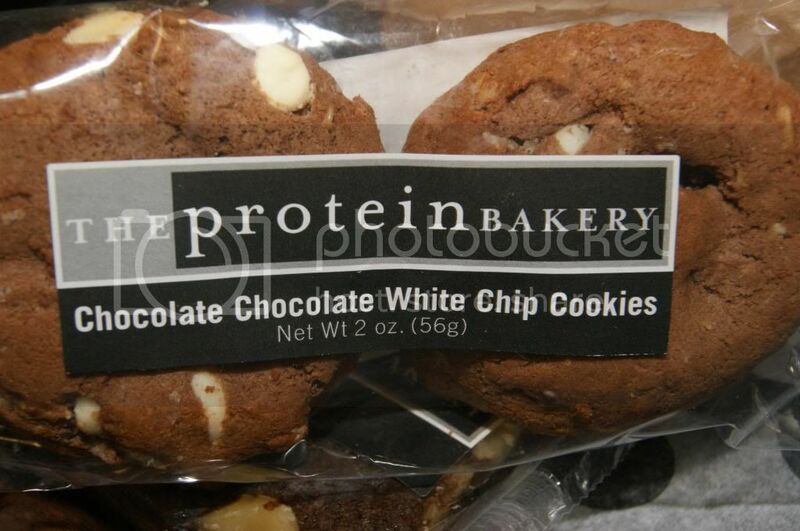 They are all trans-fat free, preservative free, and wheat flour-free, and PACKED with muscle-building protein. Not only that, but they are all around Nutritionally Balanced. With ingredients like Heart-Healthy Rolled Oats, Light Brown Sugar, Sun-Sweetened Coconut, Tasted Walnuts, Tangy Cranberries, and only the finest Chocolate, all baked in small batches from scratch(fresh every day). And as amazing as the ingredients are, and as healthy these baked goods are for you, the flavor is even more mind blowing. If I did not know there were healthy, I would think they incredibly fattening, because they taste so decadent. The joy that stems from such an indulgent treat is hard to put into words. All I can say is that I can see the happiness my husband feels while enjoying these, and just that look brings me joy. It's infectious. His favorites are the Walnut Brownie, Chocolate Chocolate Chip Cookies and the Chocolate Chocolate White Chip Cookies. As you can imagine, my hubby is a fan of chocolate. 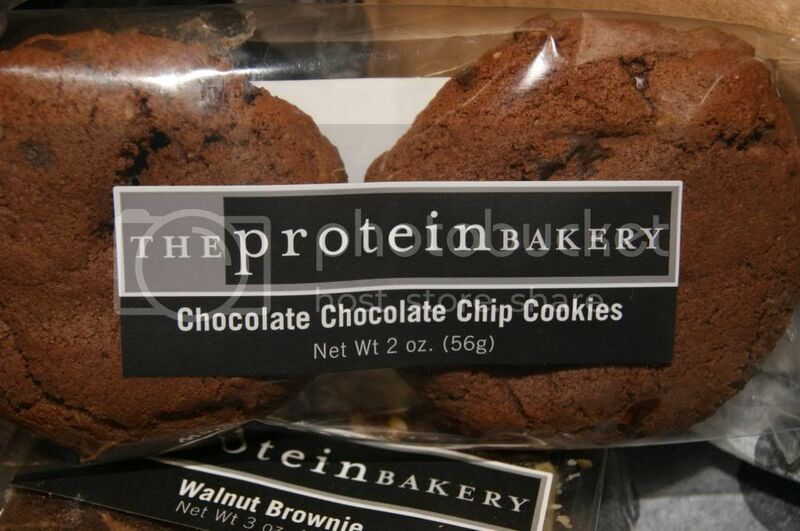 The Protein Bakery takes chocolate to a whole new level. It is so sweet, rich and creamy, and yet it is not overly sugary. The texture of these products in to die for. They are thick, moist and just slightly chewy. They are exactly what you crave in baked goods. I could go on forever, but my words would never do justice to how fabulous these products are. I guess the fact that just a little box of goodies could make my husband's whole Father's Day Special says it all. And in the spirit of making someone's day special, The Protein Bakery and I are going to be giving one lucky winner a very special prize. 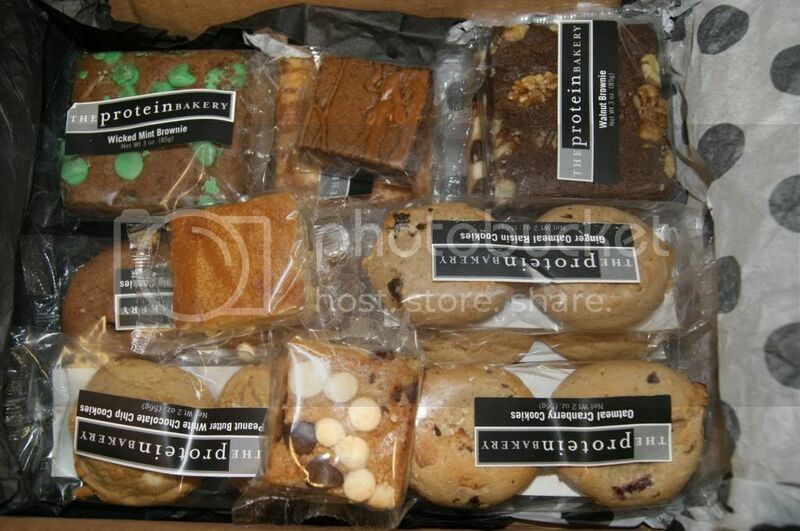 The prize will be The Taste of Protein Bakery(Two Brownies, Two Blondies, and Four Cookie Two-Packs). Enter Below. Good luck. ALL of it! It all looks wonderful. I would like the walnut brownie. I'd love to try the protein brownie!! I have had the chocolate white chocolate chip cookies before, to die for. Seriously. I love them. I like the Chocolate Chocolate White Chip Cookies! The Brownies are good...it all is! Peanut butter chocolate chip cookie! i think i'd like to try the PEANUT BUTTER BLONDIE the most!! I think I'd most like the Chocolate Chocolate Chip Cookies. Thanks. 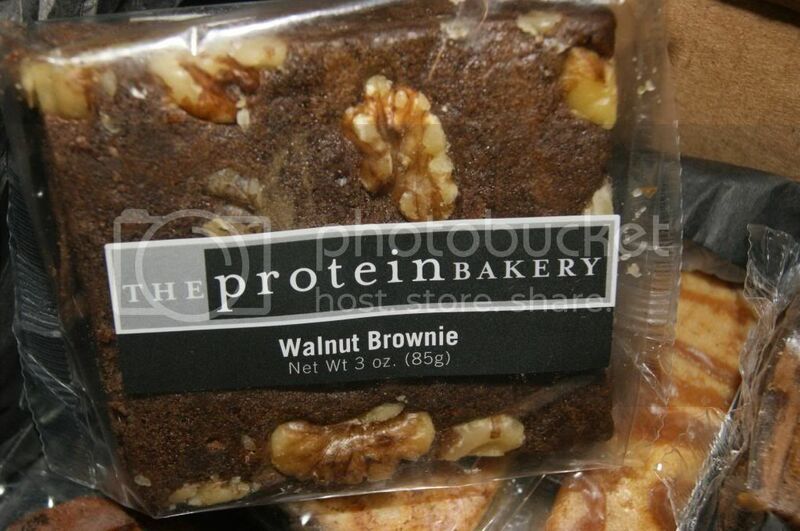 Walnut Brownie gets my vote! Thanks! Chocolate Chocolate Chip Cookies! Yum! I want to try the Wicked Mint Brownie! Wicked Mint Brownie. I LOVE mint and chocolate. walnut brownies.. oh my goodness!